alaTest has collected and analyzed 14 reviews of Vivitar DVR518. The average rating for this product is 3.4/5, compared to an average rating of 4.1/5 for other Camcorders for all reviews. Reviewers really like the image quality and portability. The design and price also get good reviews. We analyzed user and expert ratings, product age and more factors. 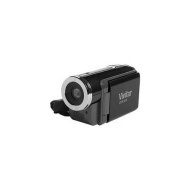 Compared to other Camcorders the Vivitar DVR518 is awarded an overall alaScore™ of 75/100 = Good quality. I ordered this camcorder not expecting too much. I am amazed at the ease of operation. Very easy to learn how to operate. Great quality video and excellent quality photos. I highly recommend!